Vrondados. 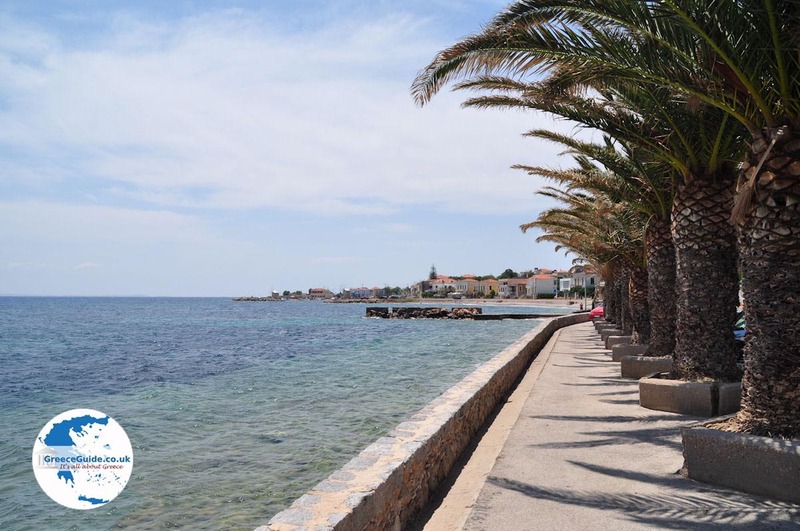 Vrondados is a coastal town on the Greek island of Chios, at four kilometres north of Chios. 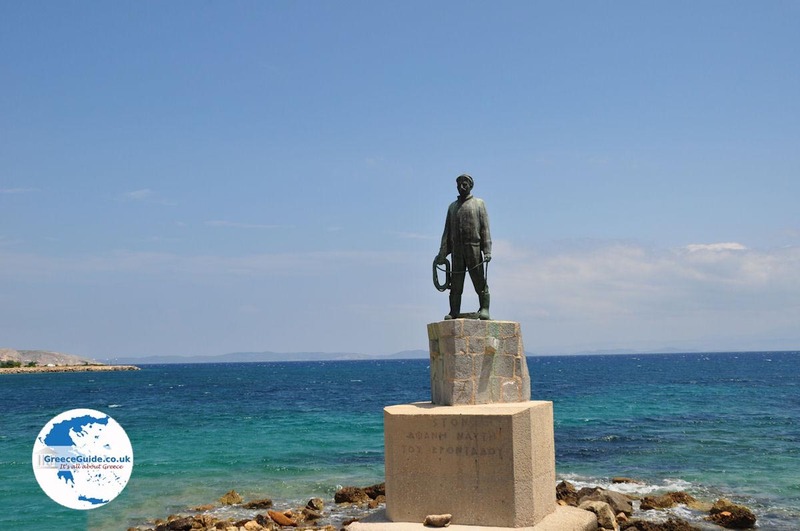 At the square near to the pebble beach is a statue in honour of the unknown sailor and there are palm trees planted by the municipality at the harbour. 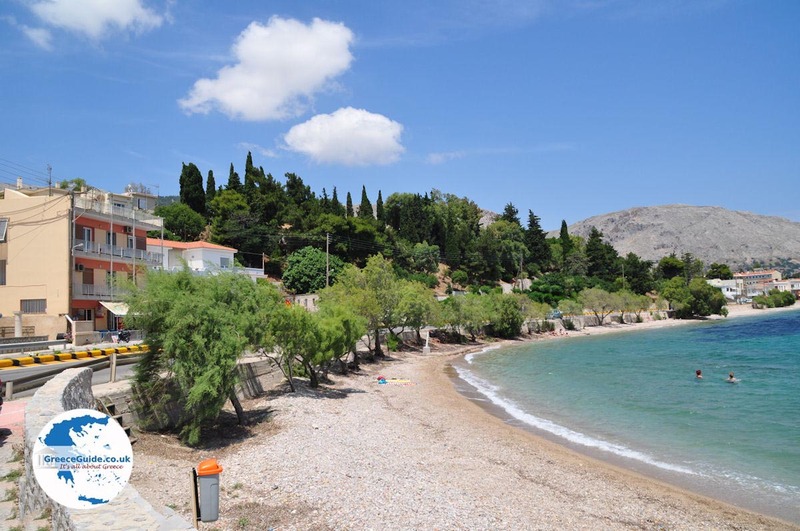 There are several tavernas and cafeterias but Vrondados does not offer much more.The beaches are narrow and consist of huge boulders and pebbles. North of Vrondados is Daskaloptera. Daskalopetra is much friendlier than Vrondados and lies at the foot and on the slopes of an imposing high mountain. Again, a pebble beach and a fishing port. 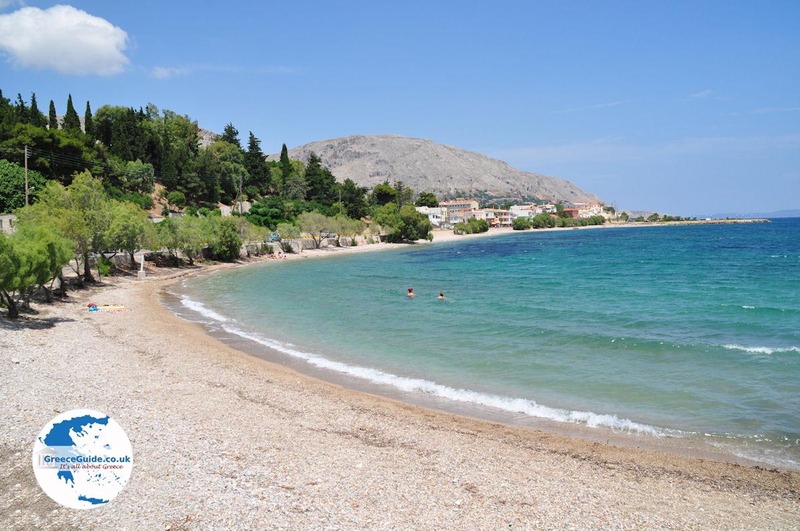 On the beach, a few tavernas where parasols and sun loungers are available for hire, you can find water sports here. 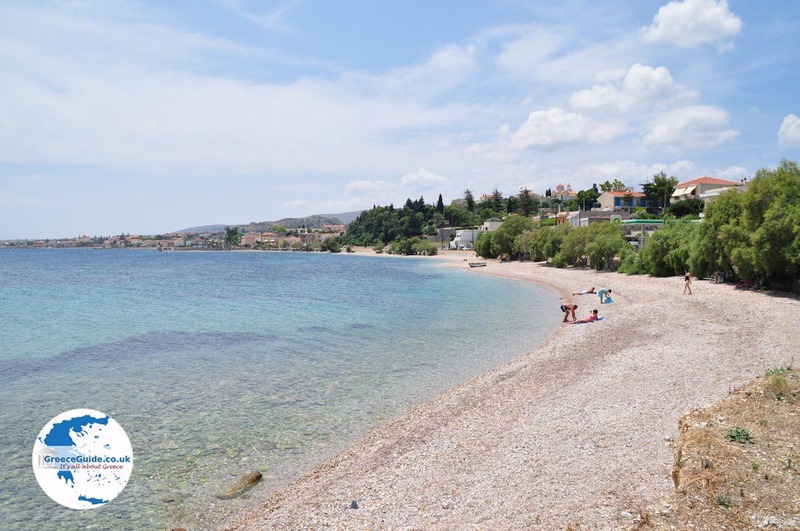 Within walking distance of the beach is the sanctuary of Cybele, behind a rock, which is claimed that Homer taught his disciples here. 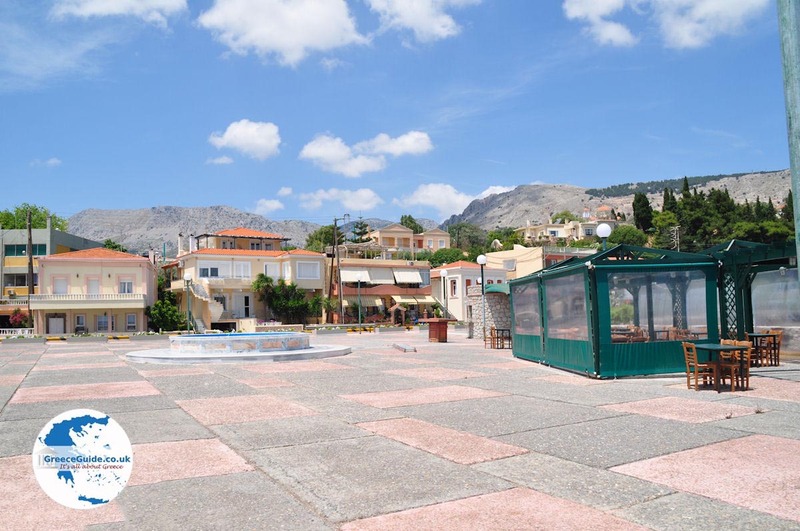 Therefore,Daskalopetra got it’s name as it means "stone of the master" .In Vrondados and environs now live about five thousand permanent residents. 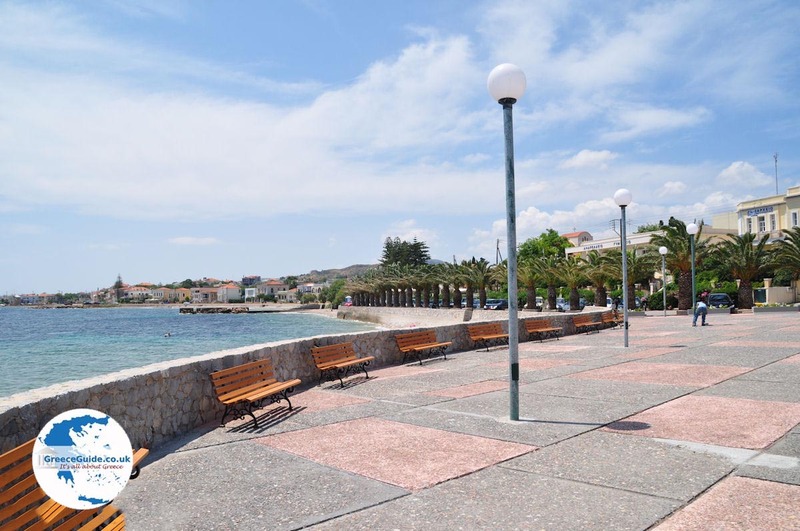 Vrondados is known throughout Greece for it’s lengthy Easter celebrations which is accompanied by letting off fireworks. 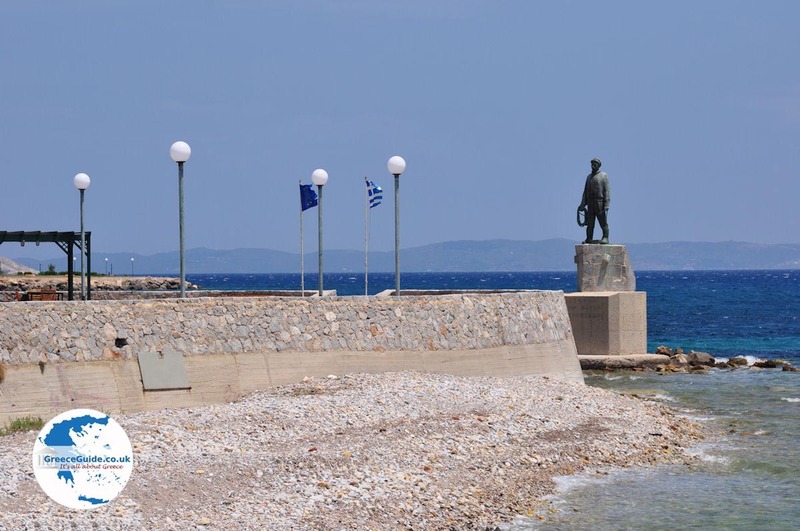 Sights at Vrondados Daskalopetra and the churches of the Holy Mother Erithiani, Agios Georgios and Agios Markos. The Monastery of Mirsinidou on a hill, a half kilometers of Daskalopetra. 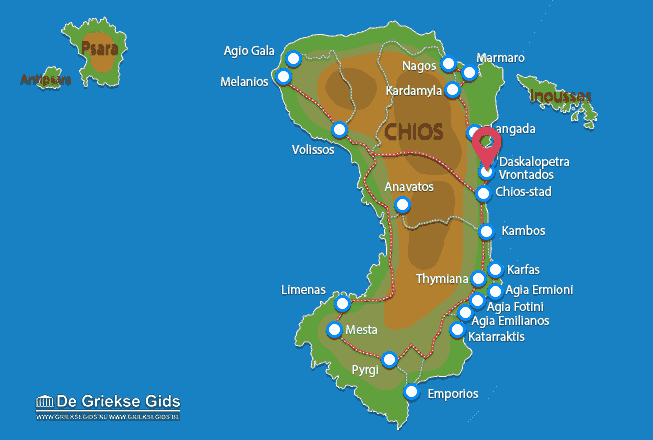 Chios: Where on the map is Vrondados located?